SEO companies are making a fortune by doing the menial work that is overlooked by many designers. 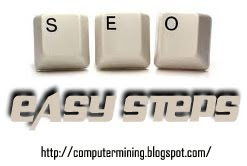 It is easy steps to do most of the work done by most SEO companies, all you have to do is create good habits. Use this formula on your competitors web site and see how they score, then aim to beat that score. Choose keywords that best relate to the information, products or services that you are offering. For instance, if I am designing a site about "Web Design", I want my site to include the words "Web Design" as many times as possible. However, most people don't just search for just one word, they type phrases, so you should consider the phrases that best suit your sites target market. For example, if I am creating a site about "Web Design" in New Orleans, I would include "New Orleans web design" in my keywords. Another way around this is to not separate my keywords with commas, just use spaces, and the Search Engines will make the phrases for you. The most important thing to remember is that the content of each page is different, so only use keywords pertaining to that page. When you name a new page you have the option to call it anything you could possibly think of, why not se a keyword? After all, the URL address is the first things a search engine comes across when indexing your pages. You have to remember content doesn't come easy to everyone, so you gotta slip in your keywords when the process gives you an easy one. These tags are dwindling in importance since Search Engines are now looking at content, but every little bit counts. Optimize your meta tags to match your content, products, and services, and the Search Engines that still look at meta data will reward your efforts. Title tags are the tags that tell the Search Engine the title, or formal description of the document or page. This is the word or phrase that is seen at the top of the browser window. The most important rule about title tags is, don't put anything in the title tags but keywords. Once again this is an easy time to slip in your keywords, so don't miss out. As I said before, content doesn't come easy to everyone, so slip in your keywords whenever possible, this applies to image names. If you are saving a picture of a guy working on a computer for your web design web site, don't call it "some_dude.jpg", call it "web_site_design.jpg". The Search engine will look at the code for the site and see the image pertains to the content of the site and this will be another relevant element on that particular page. You have to take the easy ones when you are given a chance. Alt tags are keywords that you can attach to images, giving more weight to the image since Search Engines can't analyze the content of the image itself. Here is a chance to slip in more keywords without writing great content, use it. Heading tags are associated with the bold font that leads into a section of text. Web Design Inc. offers custom web site designs. Your heading tags should only be keywords, and should be presented in the order that your Meta tags follow. Try to utilize all 6 heading tags on each page to ensure maximum page optimization. As every expert will tell you, "Content is King." Each web page should have at least 350 words on it, and the more the better, but keep in mind the formula for keyword density. You don't want to fill a page with 1500 words of jibba-jabba and only 5 keywords in it. Some people get hung-up on how browsers display text, and use images with text in them because they want a cool font, but browsers can't read the text embedded in images, so this content ads no weight to the page in a Search Engines eyes. Linkbaiting is the new trend among high ranking sites. Linkbaiting means writing quality content, or articles that other web sites can display on their pages as long as they give credit, and a link to your site. You don't have to be a vi or emac expert to write good web content, just be thoughtful of how you word things and incorporate your keywords. • Use bullets, or some sort of small image that you can attach an ALT tag to, this will ad more importance to the link, and throw in a couple of free keywords for you. Keep these 9 aspects in mid when designing a site, and you are sure to have a leg up on the competition. Good luck and success always for you.